Why Content Marketing and Social Media Have Become So Important For SEO? 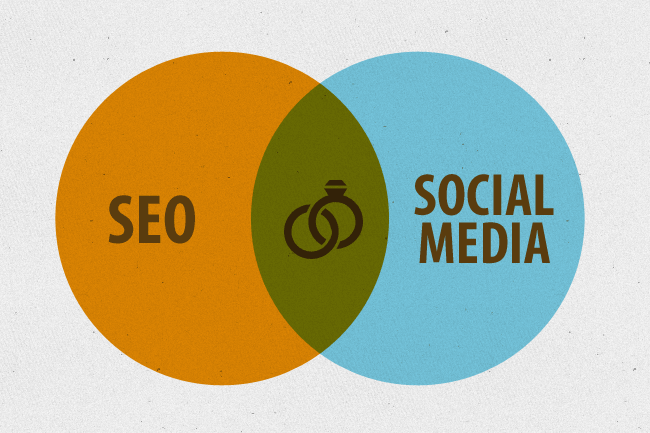 There is a notion that content, social media and SEO have different roles to play. However, this is a wrong notion. These are like three pillars on which depend the popularity and success of your brand to a great extent. They work towards the same objective — making your brand popular among your target audience and reaching out to them in the best possible manner. The organic marketing ecosystem is becoming more relevant now, and social media, SEO and content all are now considered the part of a single branch. 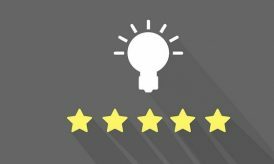 When implemented right, the combination of the three can help you achieve increased website traffic. This change or the co-ordinated approach of these three factors is the result of the changed approach of the Google algorithms that consider social signals as the most meaningful indicator of relevance, and accepts it as a significant factor in SEO rankings. The World Wide Web is like a huge public library which is growing bigger and bigger each day. It is stuffed with content and more content. When users make a search to look for a particular product or service, Google collects all the relevant results as it crawls through the pages and then indexes these pages. Through this process, we get the most relevant content according to our search. This is a very tedious and tough process as the volume of content that is created every hour is massive. However, Google has now changed its approach, and takes into account the content that has been created in Twitter. The content that has created a buzz on twitter will be considered by Google while indexing. Google will take into account the retweets, the number of people who retweeted, and the time interval within which all these events happened as the indicators of relevance and meaning. It is quite clear that such content has been found useful by a large number of people, and that is why should appear higher on search results. This is significant pertaining to SEO because the faster your content can be accessed by Google for indexing, the sooner you will benefit in terms of organic traffic that will reach your website. There are several factors that contribute to high ranking of a page, and one of the most significant factors is linkbacks a website receives. This really affects Google’s SERPs. However, black-hat SEO techniques can easily manipulate this factor with the help of invisible text, keyword rich content, fake websites that are used to link back to the main website that one is trying to promote or optimize. Tired of these techniques, Google has now changed its strategy, and depends on social signals. The posts and mentions, the responses in the form of comments and retweets on Facebook and Twitter are real and have less a chance of being manipulated. The idea of “link juice” is now over. Now, SEO and social media can provide the linkback your website needs to obtain higher rankings. NYC SEO is focused on social media to ensure high rankings. 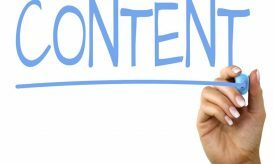 To eliminate fake content, and promote the most relevant and genuine pages for the benefit of the users, Google will rank your blog posts and websites higher if it is revealed that yours is a credible and genuine source. It also takes into account the number of people who link back to your website and visit your page from social media. 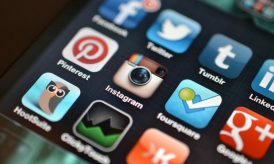 The search engine will also consider the kind of influence you have on social media. This is ascertained on the basis of various factors which include but are not limited to reach, relevance and resonance. If you cannot understand how you would be ranked by Google, you can answer certain questions which will clear your doubts. Ask yourself if you upload content that is related to your brand in the most meaningful manner. The number of people from your target audience you are able to get connected to through the content you post on your Facebook, Linkedin, G+, Twitter page. Are these people capable of adding more value to you? Prominent bloggers who wield a lot of influence in the social media arena, and brands that can help add value to your business are the kind of sources you want to connect to through social media because they can create the right type of promotion for you. Google gives special importance to its own social media platform G+. Your activity on G+ is taken into account and is given due importance. If you can spend at least 10 minutes every day and post relevant content on G+, it will help. Your content should be of high quality, and you must try to have an expanded G+ community to increase your reach. With the new changes in algorithms, content has become all the more important. Google now wants you to use relevant, meaningful and informative content that is people-friendly. Consequently, SEO is now helpful to common users. This means that anybody looking for information is more likely to get it. Filling your content with keywords is not going to help you. The importance of H1 URL, title tag and Meta description still remains, and it is still important where you place the keywords. However, these should be used in answering the questions for which people are looking for answers. Keywords now need to be optimized for long tail keywords or phrases with which people usually make searches on Google. For example, instead of ‘hair dye’, it would be more useful to use it as ‘The best hair dye brand’. This article is contributed by Nancy Fernandez, an online marketer and social media enthusiast. She works for a prominent NYC SEO company. In her spare time, she writes blogs on SEO and social media to help her readers stay updated.